In this contextualized biography the author draws on significant new research to establish the correct relationship between the pivotal events of 1798 and 1803. 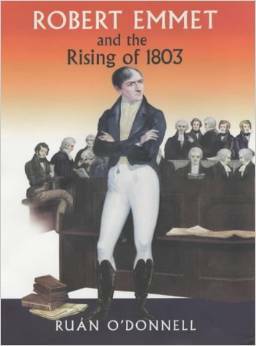 Robert Emmet is one of the best known but least understood figures in Irish history. As the premier popular hero of the nineteenth century, his dramatic speech from the dock challenged successors to vindicate his deeds by ensuring that Ireland took its place amongst the nations of the world. The Rising of 1803, of which Emmet was the main strategist, comprised the first attempt of the republican United Irishmen to sever the Act of Union between Britain and Ireland by armed force. The first revolutionary effort however was the Great Rebellion of 1798. This formative experience was of the utmost importance in the planning and execution of the second effort in 1803. In this contextualized biography the author draws on significant new research to establish the correct relationship between the pivotal events of 1798 and 1803. Moreover, the importance of Emmet’s dealings with Continental exiles and allies between 1800 and 1802, not least Napoleon, are examined. This definitive two-volume biography of Emmet re-evaluates his revolutionary career and legacy. Dr Ruán O’Donnell is a Senior Lecturer in History at the University of Limerick. He is an authority on the history of Irish republicanism and has published extensively on the United Irishmen and Irish Republican Army. His Special Category: The IRA in English Prisons 1968-1978 (IAP, 2011) is a bestseller. He co-edited, with Mícheál Ó hAodha reprints of books by F.X. Martin on The Irish Volunteers and the Howth and Kilcoole Gun-Running.